Can I Freelance in Another Country? Website Planet > Blog > Freelance > Can I Freelance in Another Country? Not everyone can just pick up and freelance in another country. It is far easier for some than others, and it largely depends on the country you’re from, the one you intend to visit, and how long you plan to stay. You need to know what your options are before quitting your full-time job and buying that one-way ticket. The good news is, it’s never been easier to find work online. Freelance platforms like Upwork and Freelancer.com allow you to browse and apply to both short and long-term opportunities. There are also options like Fiverr, where you can post your offerings and wait for clients to approach you. So, is freelancing abroad right for you? We’ll take a look at some of the biggest factors you’ll need to keep in mind, such as visa requirements and technological considerations. I’ll also share some of my personal experiences as a digital nomad, including things I had to learn the hard way! Want to learn more about being a freelancer? Please check out our Ultimate Guide to Freelancing for more information! Some destinations are very easy for remote workers to spend long periods of time in. Others will require constant border runs to keep your visa up-to-date. This could cause issues down the line, if immigration officials begin to suspect that you are working illegally in their country. However, there are several places that offer great long-term visa options. Many of these countries allow you to stay for six months, or even years, simply on a tourist visa. 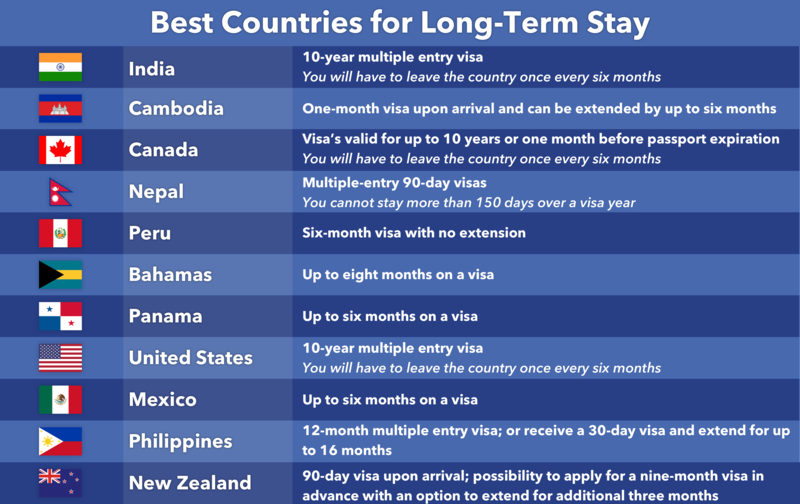 This list is by no means comprehensive, as there are many more countries with fairly relaxed long-term visa options—not to mention, new rules and regulations are always being introduced. The ease of access to a visa, or the ability to enter a country visa-free, is largely dependent upon what country you are from. 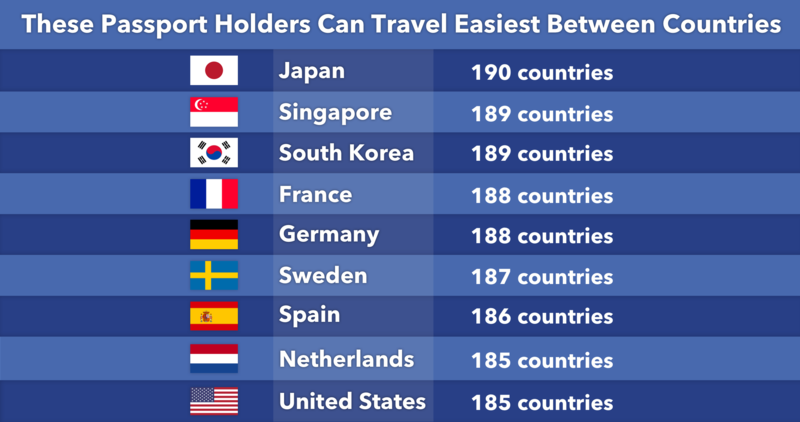 Currently, the world’s most powerful passport (in terms of travel) is Japan’s, which allows visa-free access to 190 nations across the globe. Keep in mind that for longer-term stays, most countries will still require that you have a tourist visa, acquired either before or upon arrival. That said, many digital nomads choose to jump rather quickly from country to country, spending less than a month in each place. Being able to enter countries without a visa can significantly cut down on pre-trip preparation and costs. 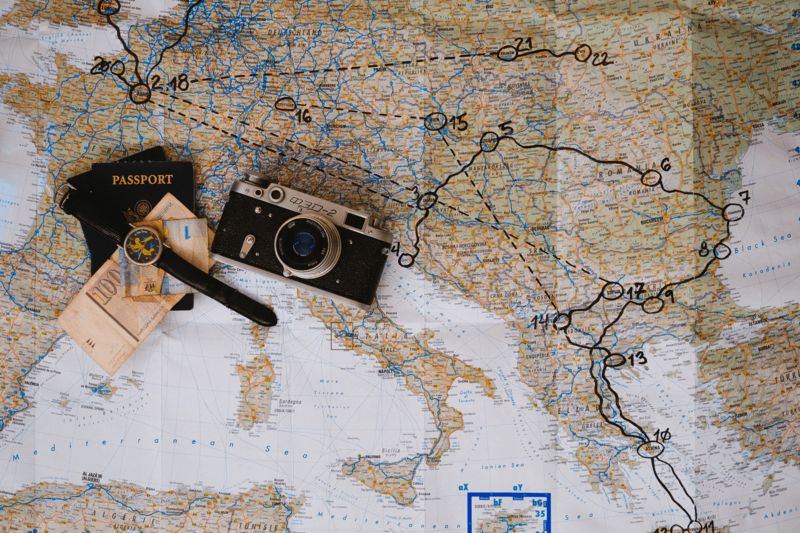 While it’s still possible to freelance abroad if you’re holding a “less powerful” passport, such as one from Belize, Russia, Jordan, or Vietnam, there may be far more hurdles to overcome when applying for visas in many countries. In this situation, stick to traveling within some of the world’s more welcoming countries, including Cambodia, Maldives, Micronesia, Qatar, Cape Verde, and Ecuador, among others. It’s pretty standard for many traveling freelancers to work online while using a tourist visa, but keep in mind that some countries prohibit this. It’s always a good idea to check the local laws and regulations to ensure that you have the appropriate documentation. Most countries won’t have an issue with you working online, as their main concern is that foreigners aren’t taking jobs that would otherwise go to locals. If you’re working on a tourist visa, it may be necessary to do occasional border runs to keep your visa up-to-date. Usually, this just means a quick trip across the nearest international border, and then returning to obtain a new visa. The rules and regulations regarding this are different from country to country, so make sure it’s possible to do a border run prior to setting out. In Thailand it’s possible to cross the border and return the same day to get your new visa without issue. This is especially true at airport crossings, as Thailand generally has very lenient policies on the number of back-to-back visas you’re able to obtain when flying into the country. However, if traveling in the European Union (EU), you can only stay within the Schengen Area countries for no more than 90 days in any given 180-day period. This means that after 90 days, you’ll be required to leave for at least another three months before you’ll be allowed to return. For the average digital nomad, moving from country to country is business as usual. But, if you intend to live in a country for an extended period of time as a freelancer, it’s a good idea to thoroughly investigate its visa regulations prior to leaving as to not run into any problems. Should You Try to Get a Work Visa? Unless you’re working for a large and established company in the country that you are trying to relocate to, getting a work or business visa is probably unlikely. There are some options, such as forming your own company within the host country—after all, as a self-employed freelancer you’re technically your own small business! However, the feasibility of this will vary from country to country, and may be difficult and/or expensive depending on where you’re from and where you intend to stay. This is why most digital nomads and freelancers opt to live and work by simply using a tourist visa. Fortunately, some countries are beginning to implement visas specifically for freelancers and digital nomads. As the whole phenomenon of freelancers and digital nomads working online while living abroad is fairly new, there are still relatively very few visas available that accommodate this specific niche. In 2019, Estonia plans to offer a visa for online freelancers who would like to visit the country and travel for up to 12 months. Other countries offer visas for individuals who would like to live in the area long-term with the potential of relocating full-time. These visas are often difficult to obtain and come with a number of strict qualifications, such as depositing a large sum into a local bank account. If you are a freelancer who is interested in moving to a new country, Germany, Bulgaria, Costa Rica, and the Netherlands have options that are worth looking into. Countries in the EU also make this process much easier for EU citizens. Paying taxes while living abroad is a rather complicated topic, and regulations can vary massively from one country to the next. For most nationalities, if you reside in another country with a legal visa or permit, you’ll only be required to pay taxes to the country you’re living in. This isn’t the case for Americans and Eritreans though, as these two nations require their citizens to pay taxes regardless of where they’re living. When it comes to taxes—and any other legal matter—always check your local laws, which include both the country you’re living in as well as your home country. You should also consider speaking with a tax attorney who is familiar with the unique circumstances of digital nomads. If you’re considering freelancing abroad, you might be concerned about your ability to find regular work online. But honestly, freelance platforms like Upwork make that the easy part. For more information, read our review of what it’s like to work as a freelancer on Upwork. Here’s what you should be worried about: As a location-independent freelancer, having an internet connection is vital to your success. It’s important to be aware of connection speeds and coverage in the areas you intend to visit. After all, there are few things more frustrating than rushing around town trying to find a decent internet connection so you can video conference with a client or meet a deadline. For example, while living in Cambodia, I had constant issues with power outages, sometimes lasting up to 14 hours! Fortunately enough, Cambodia offers cheap and fast 4G cell phone service. As a freelance writer, my internet speed requirements are rather low, so I was still able to work without too much difficulty. If your profession requires a fast and reliable internet connection, regular blackouts could be an impossible hurdle to overcome. For this reason, it’s vital that you research just how connected the country—and more importantly, the city and region—are before you go. Public workspaces are also something you should look into. Constantly working from your home or hotel room can get depressing and make it difficult to stay on task. Workspaces will generally have great Wi-Fi speeds and backup generators, which are essential if you are in an area where blackouts are prevalent. Ready to Start Working Abroad? Living and working abroad can be one of the most rewarding experiences of your life. And while you’ll inevitably face challenges along the way, it’s rarely an experience that people grow to regret. Not to mention, it’s never been easier to do so. More and more companies are embracing freelance workers, and there are tons of tools that can help keep you on task. All you need to do is research any regulations and requirements that may apply, and pack your bags! Adam is an experienced freelance writer, specializing in technology and education. He loves to travel, and is currently working his way around the world while writing about topics he loves.